When it comes to 2015's "Peanuts" movie, we can take comfort that the guy overseeing it is notorious for providing laughs. 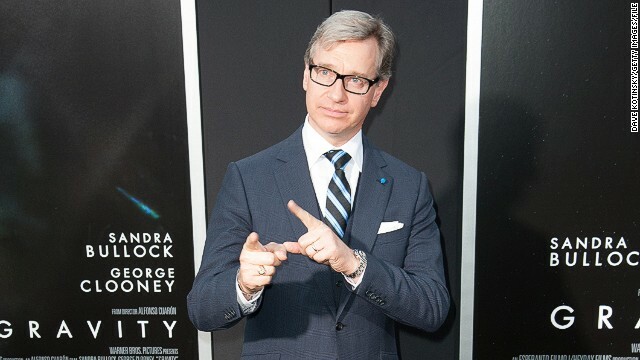 Paul Feig, the director behind blockbuster comedies "The Heat" and "Bridesmaids," has signed on to produce the "Peanuts" animated film, Blue Sky Studios announced Wednesday. It's an interesting pairing, given that Feig is best known for raunchy, adult humor, but he'll have good company with director Steve Martino, who's helmed "Dr. Seuss' Horton Hears A Who!" and "Ice Age: Continental Drift." In a statement to Deadline, which first reported the news, Feig explained that the spunky characters crafted by Charles M. Schulz were a crucial part of his childhood. The script for the feature will be written by Cornelius Uliano and Craig and Bryan Schulz, who are the son and grandson of the famed "Peanuts" cartoonist, respectively. All three writers will also produce the project along with Feig. The "Peanuts" movie will be Feig's first animated feature. It's slated to arrive on November 6, 2015, marking the 65th anniversary of the debut of Schulz's beloved comic strip, as well as the 50th anniversary of "A Charlie Brown Christmas." Next entry »Ringo Starr, Vegas lounge singer? If you look closely, you will see that there are Peanuts in my sh!t. that poo garbage....give it a rest. Please dont mess with my material. Today's minds will only screw it up. How can you even pretend to claim the material? You can't even spell your own name. There's no T in Schulz. Please dont devalue what was essentially a MAJOR piece of every kid since the 40's up to 2000. I hope that Paul Feig really is a fan of what Mr. Schultz created years ago. Please don't stunt cast with celebrities; use kids that aren't trained actors (as Mr. Schultz always did to get a true "kid's voice for the characters". Please don't make Snoopy 3-D, live-cast or CGI (or Woodstock either). The true beauty of The Peanuts was its honesty and purity. It's why I watch every special on every holiday (even though I own the DVD's). Also, please keep the music inflences instead of updating it to some kind of dubstep/mash-up type of soundtrack. And no black Peanuts, please. Those are the worst. I like dry roasted Peanuts best of all. Those were a big part of my childhood.